Sambar Recipe – A delicious lentil soup recipe made in south Indian style. Best served with Dosa, Idli, Upma or Vada. 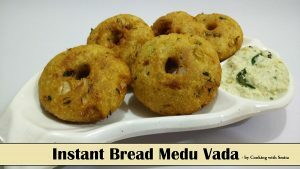 Very popular South Indian dish made from Toor Dal and Vegetables with added spices. 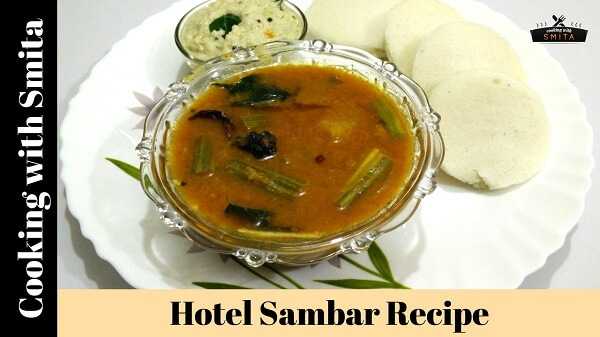 Learn How to make hotel style Sambar with step by step guide & Video Tutorial. Cook Toor Dal in a pressure cooker for 5 whistles. The Dal should become soft and mushy. In a large pan add cooked Toor Dal and water. Mix well to blend the Dal with Water and cook over medium flame. When it gets slightly hot, add vegetables – Suran, Drumstick, Pumpkin, French Beans and Onion. Stir once and cook till it starts boiling. You can add more water depending on how thick you want to make Sambar. When it starts boiling, add spices – Kashmiri Chilli Powder, Red Chilli Powder, Sambar Masala, Salt and Turmeric Powder. Add Tamarind Paste and mix again, cook for 10 minutes. If the consistency of Sambar is thick, you can add more water. In a Tadka pan, heat 2 tbsp Oil. Crackle the Mustard Seeds, Fenugreek Seeds, Asafoetida, Red Chillies and Curry Leaves. Pour this Tadka in Sambar and stir well. Enjoy Sambar with Idli, Dosa or Vada.